Are you a woman, with thinning hair? Do you want fuller hair? 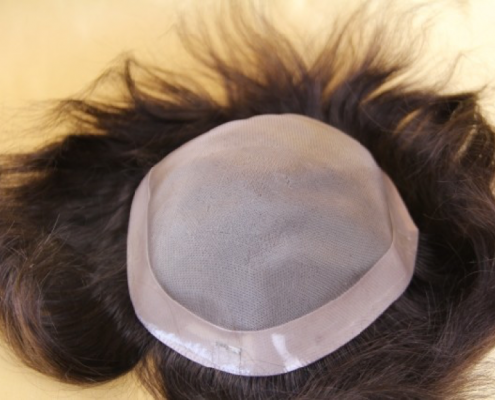 Do you want to cover your hair loss? Make your hair look more Beautiful and natural? RLosing your hair can have a devastating effect on the way you feel about yourself, Volumizer Integration System is an advanced method to cover hair loss in women. A Volumizer is a Hair System that is specially made to add volume and length to thinning hair, Your existing hair and a mesh material are used as a foundation to add more hair to the affected area. It takes about 2 to 4 hours to do. Clients can have total confidence because the hair system that will be fitted will remain securely on, whether they are showering, bathing, excising, running or swimming. A consultation is necessary so that we can discuss your suitability, hair type and your needs for this method. *Consultations are free and must always be carried out prior to a fitting appointment being made. Prices start from £550 – £ 1,300 depending on hair and coverage. Our Hair Toppers or monofilament includes Human Hair all providing a seamlessly natural style that leaves you looking and feeling fabulous. These pieces are the perfect thinning hair solution for ladies suffering hair loss and want to add volume and are not wanting to wear a full wig. Prices start from £600 – £900 depending on hair and coverage. is a hair extension application technique where the natural hair is braided underneath a thin breathable net which fits on the scalp, net weave method provides more application flexibility than track placements as the stylist is not limited to sewing onto each track only and is not as time-consuming as other hair extension methods (usually takes 2-4 hours to complete). can last up to 3 months and requires care. FULL HEAD NET WEAVE PRICE INCLUDING HAIR. BRAZILIAN VIRGIN HAIR, 2 – 3 PACKS OF HAIR EXTENSIONS. FULL HEAD NET WEAVE USING EUROPEAN VIRGIN HAIR, 2 – 3 PACKS OF HAIR EXTENSION. Full lace wigs are manufactured with a cap, and a thin lace sewn on top of the cap. ★ Full lace wigs will have lace all around the unit, and require the lace to be cut all around the unit. ★ You will be cutting a hairline around your entire head. By doing so, once done you can wear your hair anyway you like, ponytails, up-dos etc. Think about it. With the wig, you have just cut yourself a new hairline around your entire head. Fitting only price – £60. Glue less lace wigs lay flat without the need for glue, and blend effortlessly with the hairline. Our Glue less Full Lace Wig feature full lace cap that can be worn with or without adhesive. They are made with adjustable straps and combs for a secure fit, single strand knots and a graduated density. This cuticle correct hair is the very best quality on the market. Full lace wig, these units are 100% hand tied so they can be parted anywhere and can be worn in a high pony. 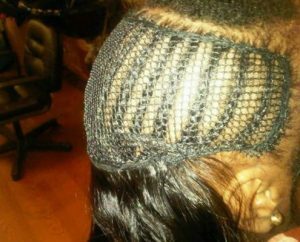 This collection is made with premium grade 100% Remy or Virgin on Swiss lace base for the most natural looking hairline. 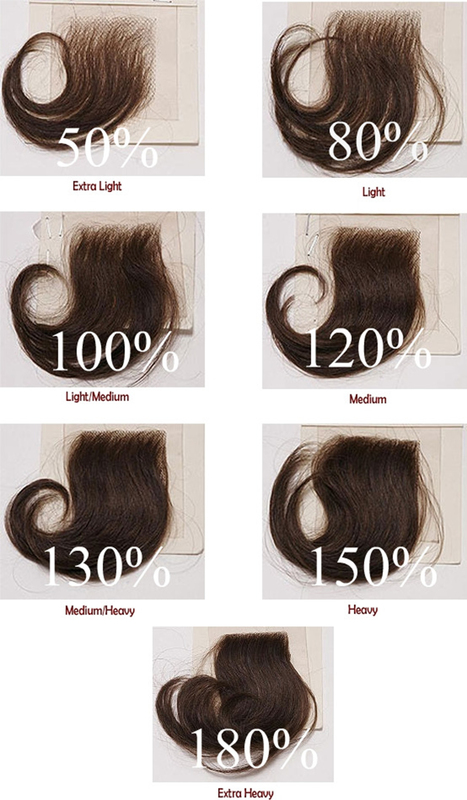 Density is defined as how thick or thin the hair on your lace wig will be. The standard and most popular choice is 120% which is Medium Thick Density. The average human head is considered to be between 100%-120%.Some wigs have 80% (light) density around the perimeter and 120% (medium) elsewhere, unless otherwisespecified.Naturally growing hair grows differently for every person. 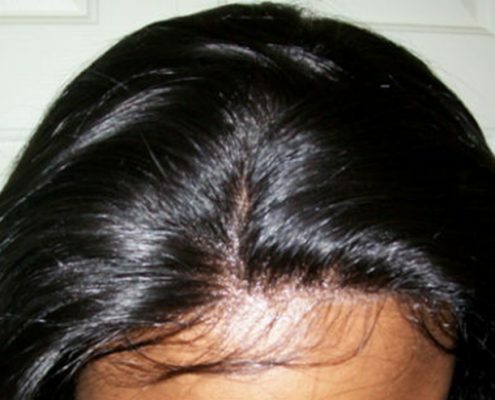 Hair can grow thin (light) around the perimeter (hairline) and thick (medium) in the middle. Hair can also grow thick (medium) around the perimeter (hairline) and thickest (heavy) in the middle. Below is a Hair Density Chart that you can use as a visual guide. Measure holding the tape snug but not tight against the head. Keep the tape flat against your head not allowing twists to develop on the tape. Measure at least 3 times. Consistent measurements will indicate you are measuring correctly. Use a cloth measuring tape if possible. Circumference: Measure all around the head. Position tape measure so its edge follows the hair line around the head and nape of the neck. Front to Nape: Measure from hairline at center of forehead straight back over crown to center of hairline at nape of neck. Ear to Ear across forehead: At front of ear, measure from hairline at base of sideburn, up across the hair line along forehead to same point in front of other ear. Ear to Ear over top: Measure from hairline directly above the ear across top of head to the hairline directly above the other ear. Temple to Temple round back: From temple to temple across the back of head. Nape of Neck: Measure the width of hairline across the nape of the neck. To help you find the color that will be right for you we have put together a list of Celebrities and the color lace that would work for them. Please note that medium brown will fit many different tones of brown, so it will be a good color for afro Caribbean ladies. CUSTOMISE GLUE LESS LACE FRONTAL WIG. Frontals can be cut to match the dimensions of your natural hairline and can be use in Conjunction With Sew-In Weaves OR Wig . 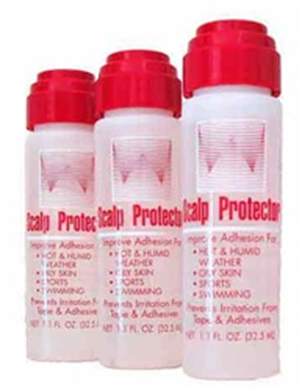 This is great for people who have balding edges or thinning. this enables you to have a style with all your hair pulled back in one and no one will know that it is not your hair. Hairline comes in various widths and depths, which covers half of the average head or full head. The Hairline is completely undetectable once attached. Our lace frontal glueless wig is also very good if you have damage hair line, or suffering from hair loss such as alopecia, chemotherapy, this is a superb hair replacement wig for you. The wig is very secured and has an adjustable strap at the back for a extra hold. our frontal comes in brazilian virgin, peruvian virgin hair, european virgin and russian virgin hair. HANDMADE CUSTOMISE GLUELESS FRONTAL WIG. LENGTHS 12 INCHES TO 28 INCHES and DEPENDING ON DENSITY. Lace Frontal Customise Glue less Wig – BRAZILIAN VIRGIN START FROM £500 – £800. LACE FRONTAL CUST WIG- INDIAN VIRGIN START FROM £550 – £850. LACE FRONTAL CUSTOMISE WIG – EUROPEAN VIRGIN START FROM £600 – £950. 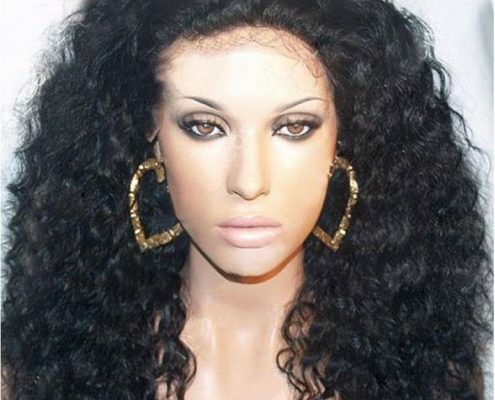 LACE FRONTAL CUSTOMISE WIG – RUSSIAN VIRGIN START FROM £1,500 – £2,000. Medium – Large Size Single Braids £140 – £170 Bra Length. Pick & Drop Braids —- £95 – £125. Sewn In Weave Removal £15. The application process is far quicker than that of a traditional sew-in, box braids, or even twists. There is a minimal stress to your scalp because all you’re doing is looping on synthetic hair onto your already braided hair–no pressure or pulling required, which makes this a great protective style.